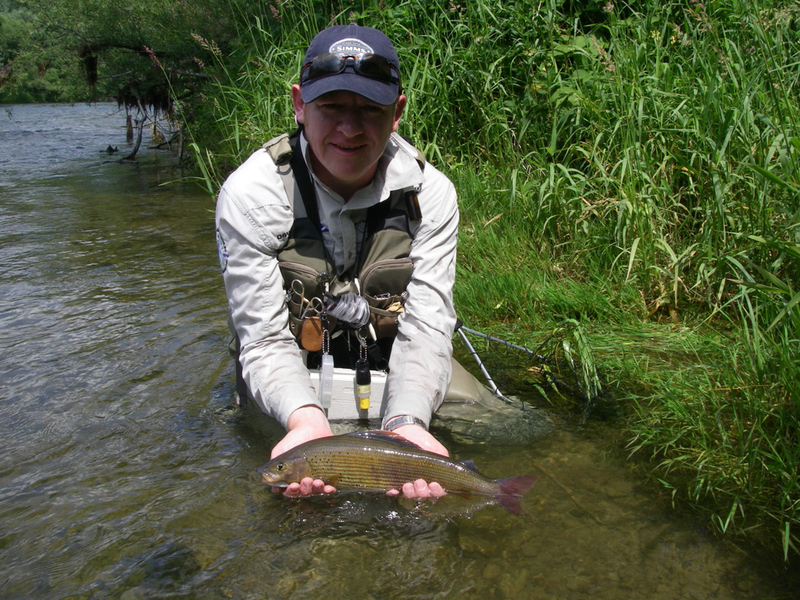 Every year I have been running some trips to the Czech Republic to fish the fantastic Rivers in North Bohemia. Situated about 1.5hrs drive north of Prague Airport in the Navarov Valley in stunning scenery, these rivers are full of fish. Fishing for Grayling mostly but with a big head of Brown trout and some Rainbow and Brook trout, try your hand at the Grand Slam, one fish of each species in one day. Fishing in beautiful clear rivers, the River Jizera and the Kamenice, you will fall in love with them and catching 20-30 fish per day is normal on most days. Dry fly, French leader, wets, Duo-Trio and Streamers all work, but Dry fly and French Nymphing are my favourites. Staying at the wonderful Pension Spalov dependant on the group size, you will be right by the banks of the river. Catered for by the guys and girls in Spalov, you will get a cooked breakfast and continental every morning, a clean warm room and the river right next to you. A packed lunch is included and your all set to go. At night you can tie flies or just relax with a cold bottle of beer a nice bottle of red wine or whatever tickles your fancy. Sometimes I can arrange for my friend Martin Droz to come along to fish, hes not there as a guide but there as my friend fishing, but still would not stop you watching and asking questions as he is a multiple ex-world champion and IMO one of the very finest River anglers in the world. You can learn more form watching that trying yourself. Transportation to and from Prague Airport to the Pension and back again. Fishing License for the State of Czech Rep Last one year if you want to go more than one trip. Private permit for the river sections we fish. Average 6 day's fishing per trip, dependant on the day of departure and time. Transportation to the different river spots. A great time with a good bunch of people. Any flies your require, I can sort out a box of what's needed and will catch for the trip if given advance notice. Any tips for the mini bus drivers etc. Prices Start from £425 per person Dependant on Group Size. I can organise and run trips to Poland to the River San and various other rivers upon request. Minimum group size is 4 anglers Maximum 6 per trip. 2 anglers possible but there will be an additional cost. I can also arrange to have my good friend and ex-world champion, inventor of the polish woven nymph and polish/Czech style of fishing Wladyslaw Treebunia Neibies, the Godfather of fishing in Poland and highly respected world wide for his forward thinking to be on the trip and work with me as your guide. Contact me for prices and dates, if I can build a group for a specific date then I will. Guiding from myself and Wladyslaw Treebunia Neibies for as much or as little as you want. Accommodation in either a Hotel or Lodge next to the river. If you stay at the lodge Max 4 anglers (Twin Rooms only), then breakfast is included and evening meals can also be included. If you stay at the Hotel, B&B, Half Board or Full Board options are available. Tailor the package to suit your needs. Transport to and from Krakow Airport. Approx 3-4hrs drive from the Airport to the accommodation. Possible to have a few night's extra in Krakow a beautiful city before going home, Accommodation can be arranged right on the square if required or arrange your own accommodation. If you go for this option you will be responsible to make your own way back to the airport on your chosen day of departure.